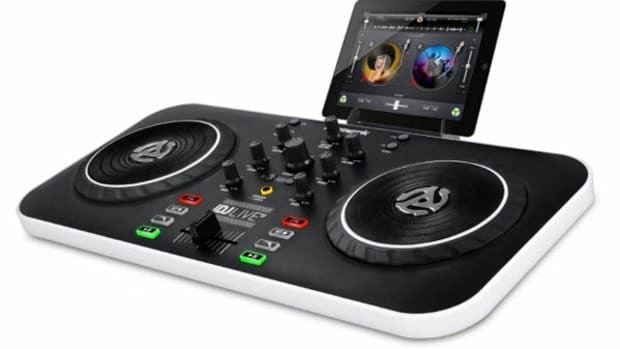 The Numark iDJ Pro is really making waves in the Industry as it is probably the best Digital DJ controller for the iPad Platform. The iPad integrates perfectly into the design by docking right into the middle of the unit for ultimate touch-screen control and playback features. There's a lot going on under the hood, but Kevin Hansen is here to give us a Rundown video to let users know exactly how to use some of the features on this new DJ controller. Check out the video after the jump. The Numark iDJ Pro is making its way around the globe and taking stops in many different countries to show how DJ's from different places can take advantage of all the cool features the iDJ Pro has to offer. 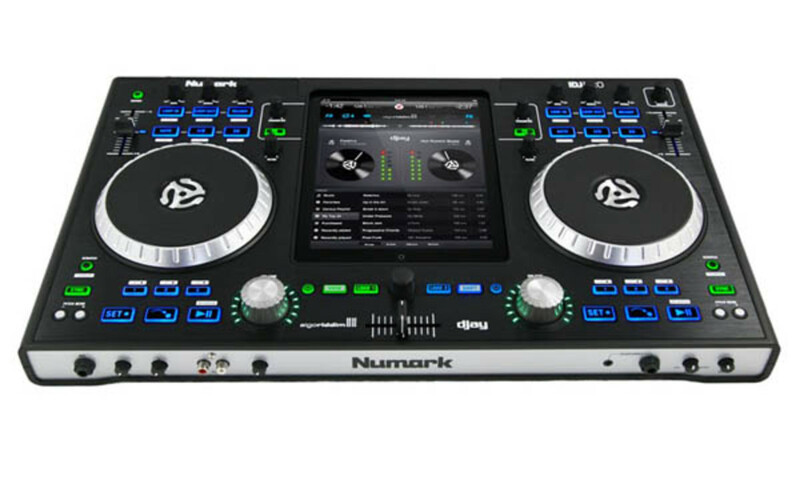 To refresh your memory, the Numark iDJ pro is a full DJ controller chassis that allows you to place dock an iPad right in the middle of the unit for touch-screen control. 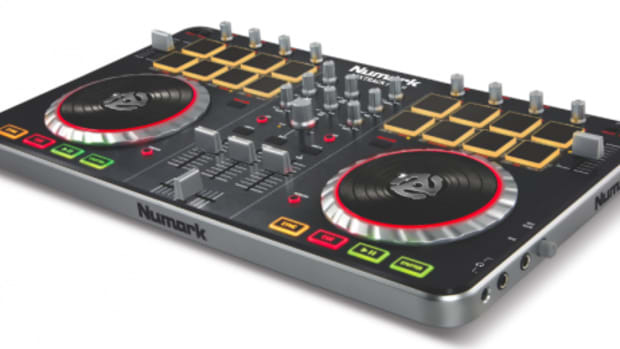 We may get one in the lab for an HD-Video review, but check out the Numark iDJ Pro Around the World Videos straight from Japan, Germany, and France after the jump. 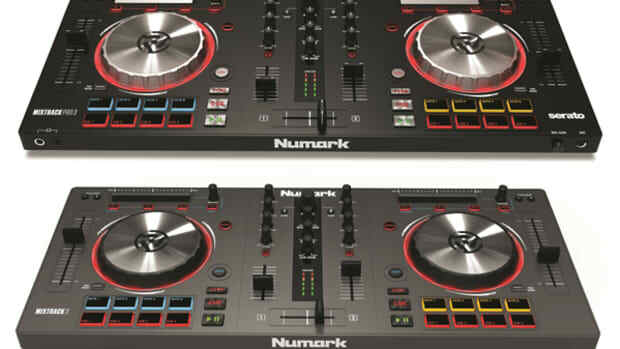 Numark is making some serious waves at the 2012 NAMM show this week with another huge surprise for iPad users and DJ's. Introducing the Numark IDJ-Pro complete iPad DJ controller system. The complete setup appears to have two decks of control and a cutout in the middle of the controller to place the iPad. The iPad will run all the necessary software making the IDJ-Pro a fully enclosed unit for easy transport and setup. The IDJ-Pro platform runs on Algoriddim's Djay software and looks pretty promising from the first promo pics. More details to follow shortly. 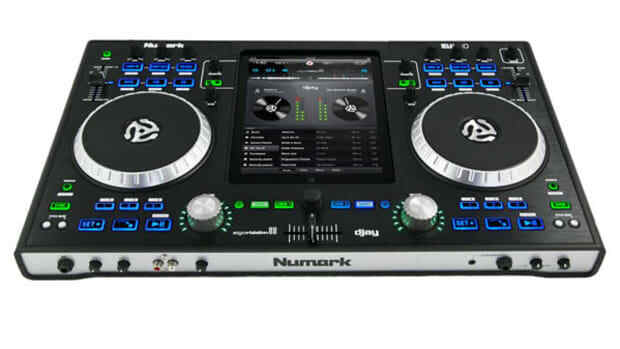 The Numark iDJ-Pro is the new (and possibly the best) Digital DJ controller that integrates the Apple iPad directly into the middle of the unit to control the software and mixer functions all in the same chassis. Everyone who has had a chance to use the unit is pretty impressed by what they see and major Hip-Hop recording artist T-Pain was no different. Check out T-Pain's first impressions and demo video after the jump.